Give your phone a fashionable look with the Lugano Charging Case for iPhone 4 and 4s, which offers a 1500 mAh charge capacity to recharge your smartphones. 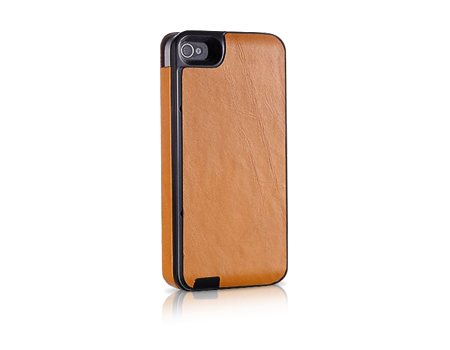 The Zilu Lugano leather battery case for iPhone 4® and 4S combines a premium Italian leather case with patented battery technology. It offers a 1500mAh charge capacity to recharge your iPhone 4 or 4S, and it also gives your phone a fashionable look. The case offers full protection for your phone and the patented battery technology can prolong your phones internal battery life.